"This is what happens when you run away from home." Crime doesn't pay, as the saying goes. But to be honest, in this case, the photo that resulted sort of did make it all worthwhile. On Sunday, the Cape May Police Department in New Jersey received reports of delinquency in progress. 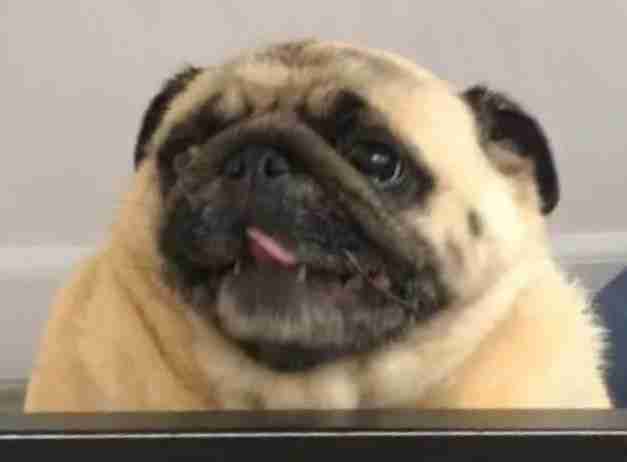 Turns out, a little pug had somehow escaped from her owners and was galavanting about the neighborhood, carefree and unattended. A criminal mastermind she was not. 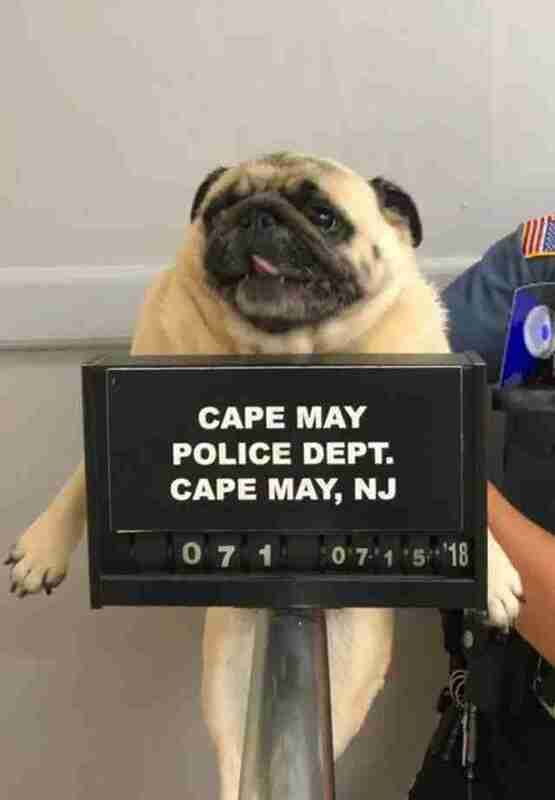 "Our officer went down and found the dog, picked her up and brought her back to the station," Anthony Marino, Cape May Police chief, told The Dodo. That's where the dog got a mugshot — or "pugshot," if you will. The little pup had hit rock bottom — and she seemed to know it. Her mischievous ways had caused her to become thoroughly lost. But, thankfully, authorities at the station had a plan. "They decided to take her mugshot to get her picture out on social media in kind of a humorous way," Marino said. "We wanted to find the owner, because at that point we had no idea who the owner was." 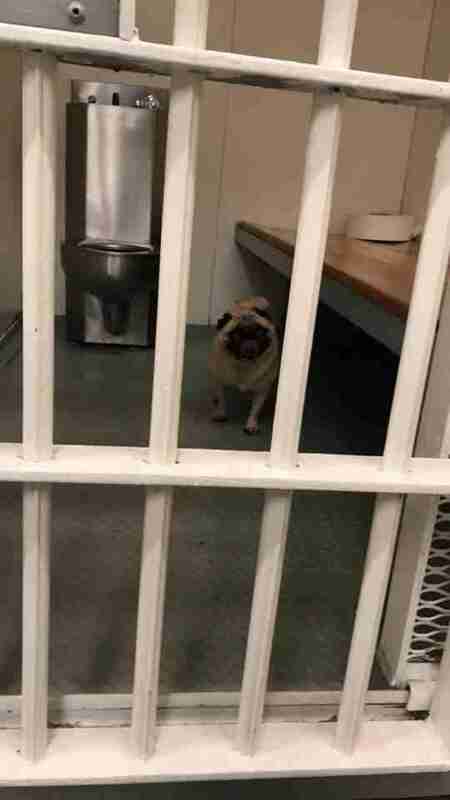 In the meantime, the pug perp was given a quiet place to think about what she'd done. After the dog's mugshot was posted to Facebook, captioned with the warning, "This is what happens when you run away from home," it began going viral. Before long, it received thousands of likes and shares. Wouldn't you know it — that did the trick. "We use social media a lot. It’s a great way to reach a lot of people. You can reach a ton of people. It’s a great way for us to get investigative leads," Marino said. "And sure enough, someone who saw the Facebook post knew the dog’s owner and got in touch with them. We were able to reunite the dog and her owner. Everyone found it funny, but it ended up finding the owner for us." The dog, whose name is Bean, is now resting comfortably at home, hopefully having learned the error of her ways.